Shirts With Random Triangles: Ohio St. 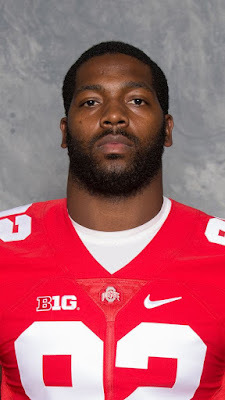 Defensive Lineman Adolphus Washington Issues Apology For Citation For Solicitation. Ohio St. Defensive Lineman Adolphus Washington Issues Apology For Citation For Solicitation. Adolphus Washington. Image via cincinnati.com. Ohio State defensive lineman Adolphus Washington has issued an apology to his family and the Ohio St. football program for his the incident on Wednesday that resulted in the Columbus, Oh. police issuing him a citation for misdemeanor solicitation. ESPN Big Ten reporter Austin Ward posted the statement on Twitter Thursday afternoon. Washington has a court date regarding the incident on Dec. 17. Ohio St. has yet to release an official statement regarding Washington.